One of the beauties of living only 90 minutes from downtown Philadelphia is that we can drive in and out of the city several times every year to partake in various festivities. Philly is busy all year round and is known on the east coast for throwing a good party and parade, not to mention awesome sporting events and music concerts! Every year on New Year's Day the city is host to the Philadelphia Mummers Parade. 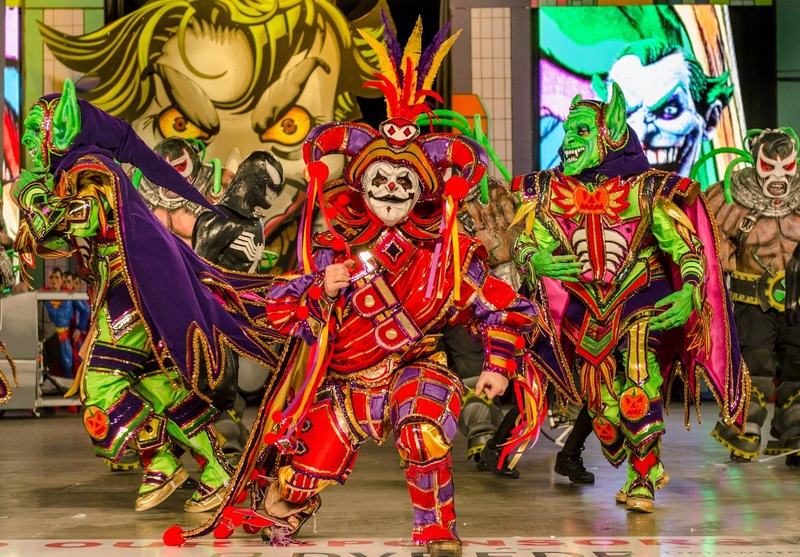 It is a 115-year-old tradition in which 10,000 men, women and children dressed in colorfully lavish costumes twirl, sashay, pirouette and strut down one of the city’s main streets. 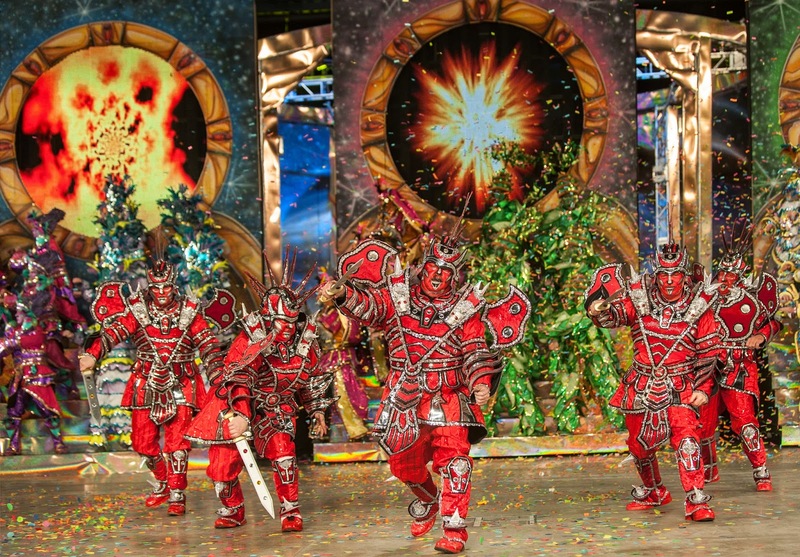 This year, the Mummers are making some changes to the nation’s oldest folk parade. That means a shorter route, marching in a different direction (north to south), judging at the start of the parade instead of at the end and performances that run the length of the route and not just in certain locations. Mummers are men and women of all ages who belong to more than 40 organized clubs that make up the parade participants. The clubs, split into five divisions—Comics, Wench Brigades, Fancies, String Bands and Fancy Brigades—function mainly to stage their playful performances on New Year’s Day. The day’s highlight is the parade itself, which this year begins at City Hall and marches south—the opposite of past parades—on Broad Street to Washington Avenue. Each division knows its role: the Comics and Wench Brigades satirize issues, institutions and people; the Fancies impress with glamorous outfits that rival those of royalty; the String Bands gleefully play banjoes, saxophones, percussion and other reed and string instruments; and the Fancy Brigades produce tightly choreographed theatrical extravaganzas. The parade begins in the morning at 10:00 a.m. and ends sometime before 6:00 p.m. The shorter route lends itself to denser crowds, so for sidewalk seating, fans should arrive early to claim their spots. First things first: Spectators are encouraged to leave their cars behind and take public transportation into the city. Those who drive should park in a garage. One of the best places to view the spectacle is from the judging stands near City Hall, but tickets must be reserved in advance. Tickets for bleacher seating at City Hall (15th & Market Streets) are available at the Independence Visitor Center (6th & Market Streets, (215) 965-7676) for $20. Tickets to both Fancy Brigade Finales can be purchased online for $20-$25 at comcasttix.com or at the Independence Visitor Center. 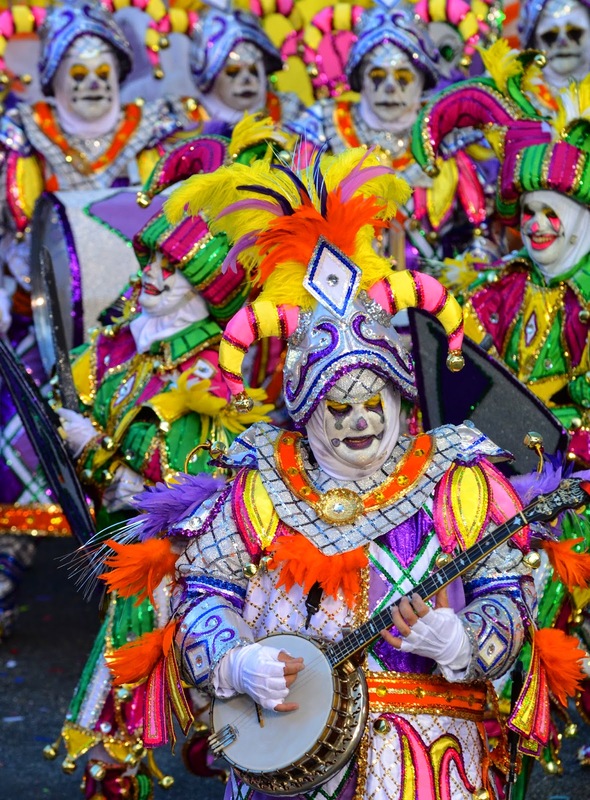 If you plan on visiting the Philadelphia Mummers Parade this year...now is the time to purchase your tickets and/or make your hotel reservations for the festivities. This parade draws thousands of people so you want to plan well in-advance for the event. Disclosure: Information and photos for this blog post were provided by VISIT PHILADELPHIA.